David Pagoumian is a respected presence in the insurance industry who guides a practice group at CRC Insurance Services and emphasizes team approaches to achieving goals. Drawn to stories of success, David Pagoumian believes that failure is a learning opportunity that can help prepare for the next life chapter. He also has a focus on exercise as a vital component of maintaining balance and focus in daily life. A recent study published in the journal Diabetologia emphasized the essential nature of regular exercise in maintaining overall health. With the scope of the research encompassing 45 adults who were active and healthy, participants were monitored over a period of four weeks. The first two weeks involved significantly lower activity than usual, with walking reduced by 95 percent and sedentary time increased by four hours daily. At the study midpoint, participants resumed their usual active routines, which exceeded recommended levels of daily walking. Midpoint tests at the close of the sedentary phase revealed a number of concerning health developments, including lower muscle mass, increased liver fat and total body fat, and higher levels of bad cholesterol. The positive news was that these metabolic imbalances disappeared just as quickly with health-positive habits, and by the end of the study, participants had reversed most of the damage done. 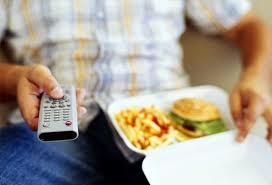 A take home is that changes in lifestyle can have a much more rapid impact on metabolism than many people are aware of.